Since 1913, California Workers Compensation law has assured and guaranteed aid to employees who are injured during the scope of their employment. 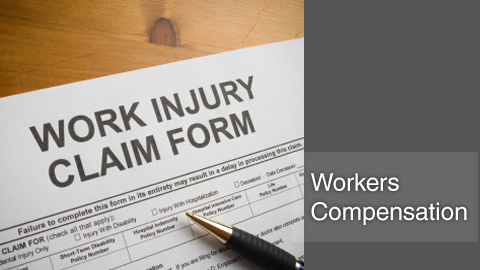 Workers compensation will pay your medical expenses and help you get back any income lost as a result of a work related injury. This injury may have occurred over time with repetition or as a result of one specific incident. An employer’s Workers Compensation insurance will cover treatment for injuries sustained at work at no cost to an employee. Treatment includes medical, surgical, physical therapy, chiropractic, psychologist and hospitalization. You will be able to obtain temporary disability checks based on your income only if you are incapable of working while you’re being treated for your injuries. Generally, an employee will receive two-thirds of their previous salary while rehabilitating. Upon returning to work, all temporary disability checks will be discontinued. If an injury has made you permanently disabled, affecting your ability to work, then an employee may be eligible to receive permanent disability payments. A permanent disability payment is typically a lump sum payment based on several factors: type of injury, employees age, and earning-power lost. It is illegal for your employer to discharge you or in any event discriminate against you because you filed a claim, intend to file a claim or testify or intend to testify for another injured worker. If your employer has threatened to do so, then he or she may be ordered by the court to rehire you. Most times workers’ compensation suits are rejected by insurance carriers. Don’t give up. If you or someone you know has been injured during the scope of their employment, please contact of our workers compensation attorneys in Beverly Hills at 1-888-97-97-97-8.